A team of doctors from Jacksonville and Jamaica has successfully completed the first two liver transplants in Jamaica last Wednesday and Friday at the Bustamante Hospital for Children in Kingston. 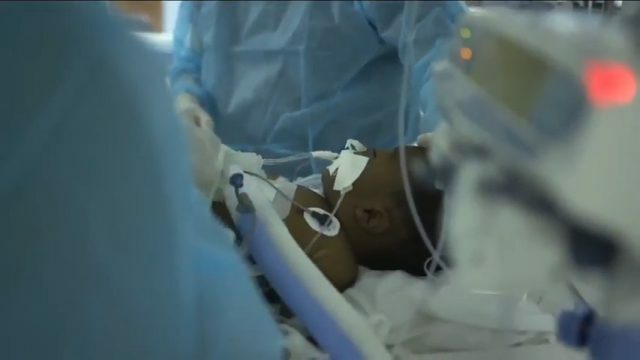 In a video provided by the Delaware-based Nemours/Alfred I. duPont Hospital for Children, the mother of one the recipients Tannila Gordon said she had faith in God as a team of doctors from the Bustamante Hospital for Children and Nemours’ prepared to perform a liver transplant on her 13-month-old son Zaiden. The Bustamante Hospital for Children in Kingston had the state-of-the-art technology and medicine needed for transplants thanks to the massive donations from ‘Shaggy and Friends’ over the years. The U.S. doctors had a short list of supplies and instruments of their own imported. Chair of Surgery at Nemours, Dr. Stephen Dunn said his team, with assistance from Jamaican doctors, operated on Zaiden for about 8 hours. “Because this child didn’t have a bile duct, we had to do some intestinal surgery to create drainage for the bile from the new liver that would go into the intestine directly,” explains Dr. Dunn. Before these two historic surgeries on Jamaican soil, Nemours/Alfred I. duPont Hospital for Children have flown Jamaican children in Wilmington, Delaware, the U.S.A. for liver transplants.